This is the first in a series of articles investigating ruptures in a carefully fostered pro-corporate united front among First Nations Peoples. The series focuses on the wider implications of recent statements by pro-mining Aboriginal activist Marcia Langton. Yiman and Bidjara woman Marcia Langton is a writer and academic. In her own words, she is “a strident supporter of action to end violence against Aboriginal women and children”. But there’s a major contradiction. She’s also worked closely with corporations of the Business Council of Australia (BCA) and with Noel Pearson’s corporate-sponsored Cape York Institute. In late August she launched a scathing attack in The Saturday Paper on Alice Springs’ Aboriginal woman Jacinta Nampijinpa Price, raising eyebrows and setting off a flurry of social media comments because she’d previously campaigned alongside Price. Langton addressed the National Press Club on violence in Indigenous communities with Jacinta Price in November 2016 (later published by the mining company-funded Centre for Independent Studies) and has appeared with her on other joint platforms on the same issue including a few years back at Sydney’s Yabun Festival on Invasion Day. Her public criticism of the policies Price and her mother, Warlpiri woman Bess Nungarrayi Price, is important. It ruptures a damaging pro-corporate united front within Aboriginal communities that Langton has enthusiastically promoted. Competing corporate interests are more frequently breaking into open dispute, with Australian parliamentary bunfights just the tip of a worldwide phenomenon. 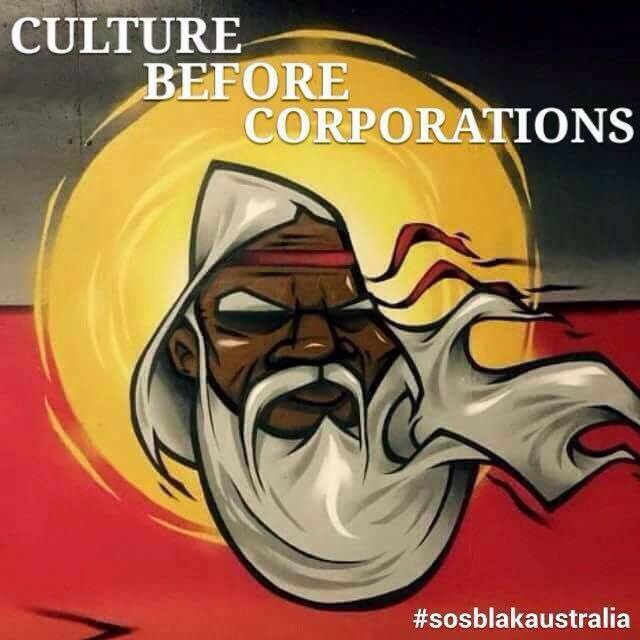 The BCA was set up to manage such corporate disunity. It was meant to create a ‘union’ for corporations to shore up corporate interests as a whole against the underlying anarchy of capitalism. Recently Rupert Murdoch’s News Corp has become a very uncooperative BCA member, driving the far right’s removal of PM Turnbull. Heads of peak corporate groups allied to the BCA bemoaned the instability and resulting exposure of a parliamentary puppet show that has been very useful to capitalism. Of course, disunity is reflected among Aboriginal and Torres Strait Islander Peoples, as corporations jockey for lucrative mining, real estate and tourism dollars from First Nations lands. Langton is no friend of Turnbull, but her article attacking News Corp favourite, Jacinta Price, was published the day after Malcolm Turnbull’s overthrow. It’s hard to escape the conclusion that political and corporate machinations leading up to it influenced Langton. But both Marcia’s concerns and the machinations had been brewing for some time. Langton has experienced bullying and seen the violence caused by intergenerational traumatic stress in Aboriginal communities. She does so without excusing it and has often attacked what she calls ‘the left’ for failing to understand reality. In attacking Price, Langton’s critical focus has shifted. She says Jacinta blames Aboriginal People’s traditional culture for violence. Yet Jacinta and her mother have long promoted this view. It’s nothing new and Marcia Langton is well aware of it. “The damage she causes to the Aboriginal people of the Northern Territory is well known. The Tangentyere Council’s Women’s Family Safety Group, a service at the frontline against violence, is one of the victims of Price’s play for power. Price declined to invite them to the meeting in Alice Springs with the prime minister,” Langton continues. Unlike Langton, the Tangentyere Council members she praises have been vocal critics of the NT Intervention since its imposition with bipartisan parliamentary support. By 2008 Langton saw the Intervention as positive but flawed, because it lacked Aboriginal control. She agreed the original Intervention was racist and “not implemented properly”. Back then she indicated that it ceased to be racist when the Labor administration extended its sanctions to non-Indigenous communities. Instead the sanctions attacked those in Australia’s most socio-economically disadvantaged areas, like Sydney’s Bankstown, and still played to racist sympathies because of Bankstown’s very high concentration of Muslims. “There is little evidence to suggest that Aboriginal women are any safer as a result of those measures,” wrote Watson. In contrast, she stacked up the evidence that the Intervention and Labor’s Stronger Futures supported by Langton were a disaster for Aboriginal communities. Langton’s words were more academic, but differ little in content to the tune Bess and Jacinta Price still sing condemning ‘eastern staters’. Such divisive language by Langton echoed back to the 1970s and 80s, when prominent pro-corporate activists like racist Queensland Premier Joh Bjelke Petersen constantly attacked vocal advocatess, like Langton herself, for not being ‘real full blood Aborigines’. At its inception the authors of the Little Children are Sacred, Rex Wild QC and Patricia Anderson, both condemned the NT Intervention. Their report spells out the reason: Aboriginal and Torres Strait Islander Peoples need to control their own affairs. In 2012, revisiting Fitzroy Crossing in the Kimberleys after a 20-year absence, the once out of control town was transformed. There was no ban on alcohol, but there were no takeaways, closing time was 8pm and for much of the afternoon only low alcohol beer was available. A small group of people had welfare payments quarantined to ensure their children were adequately fed and clothed. The senior women had led the fight and the land council now owned the pub. There was discontent, especially about what a veteran of the Noonkanbah dispute, recently celebrating its 40th anniversary, called the “apartheid place across the bridge” (the expensive hotel with no limits on drinking apart from the take away ban). Marcia Langton has long supported such controls on alcohol put in place by Aboriginal communities and says support programs should arise from community consultation. But an emerging First Nations’ leader urges people not to forget the “punitive desire” that Langton has until recently expressed “in relation to alcohol abuse in Aboriginal families and communities, and her emphasis on the dehumanising of Aboriginal men”. Langton’s support for Tangentyere Council’s Women’s Safety Group indicates some change in her views on this last point, as its spokesperson, Barbara Shaw, spoke very publicly about supporting “our men who are also going through hardship and hard times”. It remains to be seen how deep the changes in Marcia Langton’s thinking are.